The autonomous aircraft market is projected to grow from an estimated USD 3.6 billion in 2018 to 23.7 billion by 2030, at a CAGR of 17.06% from 2018 to 2030. This growth can be attributed to increased cost savings, reduction in human error due to increased autonomy, and advancements in artificial intelligence. However, the safety level of autonomous systems during emergency situations is expected to restrain the growth of this market. Based on autonomy component, the propulsion system segment is projected to grow at a higher CAGR during the forecast period. Growth of this segment can be attributed to the advancements in propulsion technology to result in minimum or zero emission, and its capability to work autonomously. North America is estimated to account for the largest share of the autonomous aircraft market in 2018. Major aircraft manufacturers, such as Boeing (US), Lockheed Martin (US), Bell Helicopter (US), and The Raytheon Company (US), among others, are based in this region, and thus generate high demand for autonomous aircraft. North America is projected to lead the autonomous aircraft market during the forecast period, in terms of market share. Rest of the World is expected to be the fastest-growing market during the forecast period. Rest of the World consists of region including Middle East, Africa and Latin America, Growth is largely due to an increase in autonomous aircraft for air medical services in Africa. Along with this, the rise in urban air mobility in countries such as Dubai, where regulatory bodies are working in favor of commercialization of these technologies, is resulting in high growth of Rest of the World. Key players in the autonomous aircraft market include Boeing, Airbus, Lockheed Martin, Northrop Grumman, and Elbit Systems, among others. These market players have been focusing on securing contracts from airlines and governments, as well as developing partnerships and adopting the mergers & acquisitions strategy to grow in the market. The core competencies of these market players include their widespread geographical presence and increased investments in R&D activities. Along with the key established players, various start-ups have entered the space of autonomous aircraft to develop their concepts of air taxi, personal air vehicles, and cargo drones. These concepts are being actively developed with the technology of fully autonomous air travel. These start-ups are, Kitty Hawk, Volocopter GmbH, WING, LIFT, and Joby Aviation, among others. This report segments the autonomous aircraft market based on technology, component, and end use. Based on technology, the autonomous aircraft market is segmented into increasingly autonomous and fully autonomous. Based on component, the autonomous aircraft market is segmented into flight management computers, air data inertial reference units, sensors, actuation systems, software, intelligent servos, cameras, radars & transponders, and propulsion systems. Based on end use, the market is segmented into commercial aircraft, combat & ISR, cargo & delivery aircraft, passenger air vehicles, personal air vehicles, air medical services, and others. The autonomous aircraft market has been studied for North America, Europe, Asia Pacific, and Rest of the World. 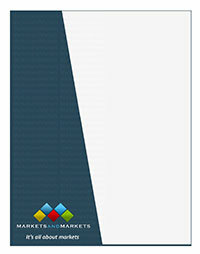 From an insight perspective, this research report has focused on various levels of analyses industry analysis (industry trends), competitive leadership mapping matrix, and company profiles, which together comprise and discuss basic views on the competitive landscape; emerging and high-growth segments in the autonomous aircraft market; high-growth regions; and market drivers, restraints, challenges, and opportunities.